The European Commission Coordinated Plan on Artificial Intelligence calls for the development of an industry-led AI PPP triggered by the Big Data Value Association (BDVA) and the European Robotics Association (euRobotics) through the joint action of their respective cPPPs. At the ICT conference in Vienna in December 2018 euRobotics and BDVA signed a Memorandum of Understanding already stressing their ambition to jointly develop this partnership. The AI PPP will establish a European focal point to connect and coordinate AI, Data and Robotics innovation and research communities in the deployment of AI. he partnership will bring together all impacted stakeholders to develop sustainable AI value chains that are trustworthy and fair. 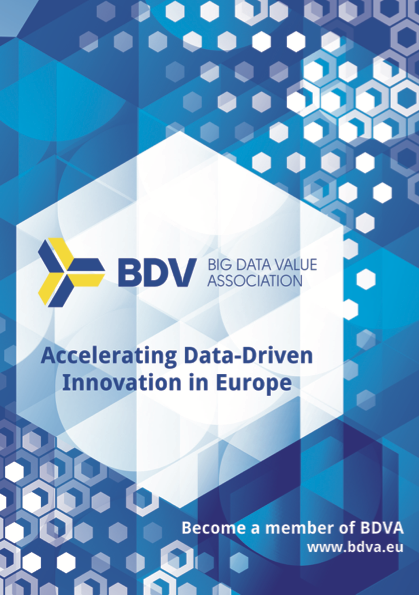 The communities represented by BDVA and euRobotics are driving the adoption of AI technology and the partnership has direct access to the key players in their respective areas. Combining the physical and data worlds will lead to improved decision-making and human interaction that can ultimately drive up European competitiveness. The vision paper sets out the expected impact from the creation of a connected European AI ecosystem, from the alignment with EU member states and regions, and from the development of trust in AI benefiting both enterprises and citizens. It also outlines the concept of the "AI Value Chain" which provides an holistic perspective on AI that encompasses the range of challenges that surround AI driven solutions from business transformation and systems development to legal and ethical issues. Importantly, the partnership will work to ensure Europe has the skills required to work and live with AI technology and will help to mobilise public and private funding for European AI.